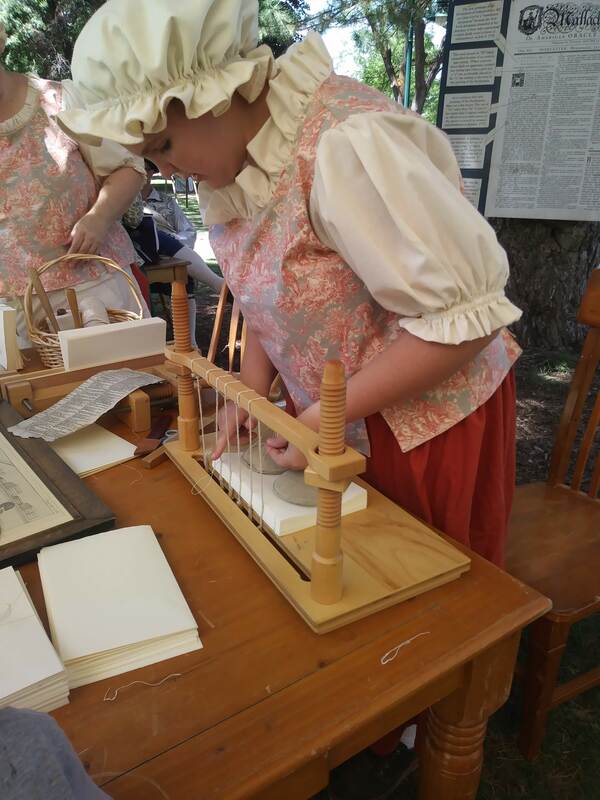 Over the Fourth of July week, I had the opportunity to visit a colonial festival that was quite close to home. I look forward to it every year. The 1600’s was a time of NO plastic. It is ridiculous how hard it is to even imagine that. Go ahead, I dare you. This year I learned why antique books have ridges on the spines. It is because of the binding method. It is not decoration. 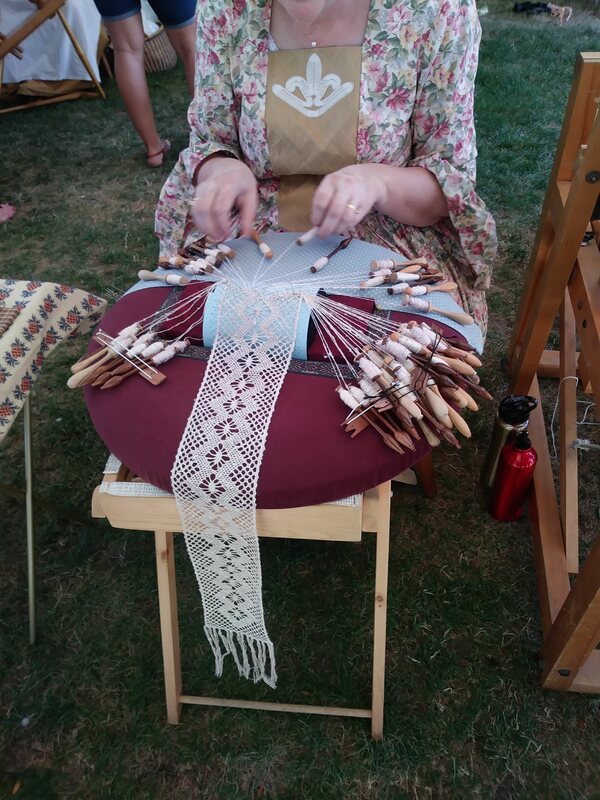 I knew before that lace was expensive in those times because it was made by hand, but this year I got to see how it was made. A-MAZ-ING! 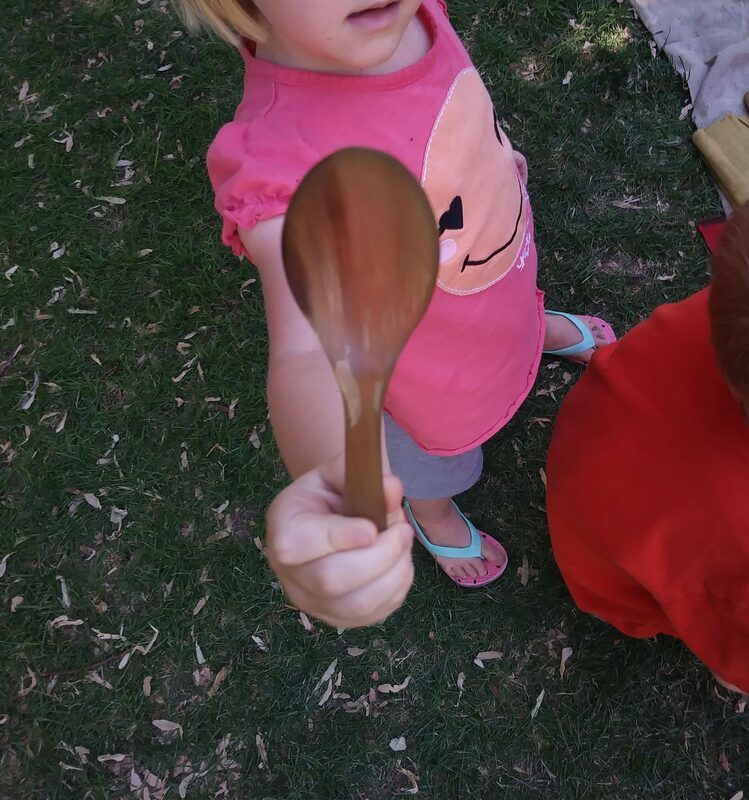 My little one is holding a spoon in this picture. It is not wood, and certainly NOT plastic. It is made from cow horn. Some might describe this as the plastic of the 1600’s. I learned this year that it took all day for the fancy ladies to get dressed. 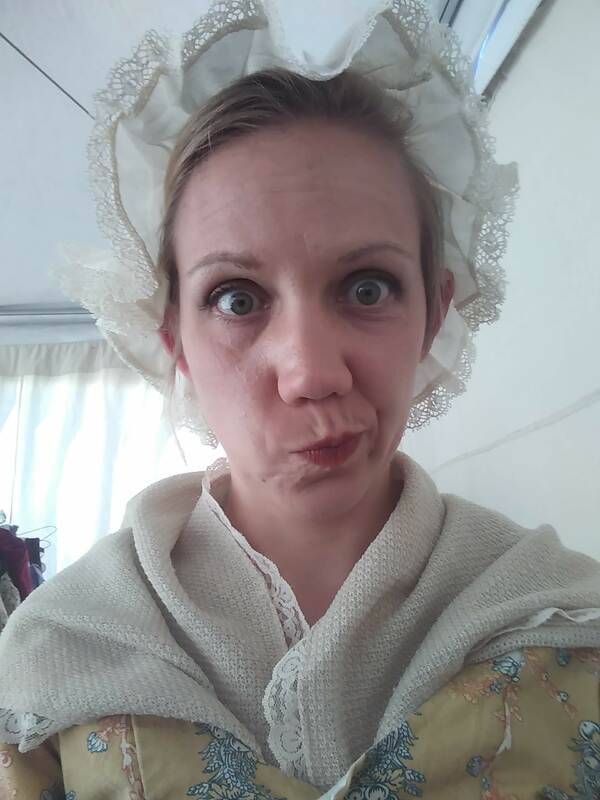 When I go into reenacting, remind me to NOT create myself as an upper class woman. No thank you! I tried a more middle class colonial look on for a time… the opportunity was unexpected. I walked in with full make up and a new super short haircut- and came out like this- and I really had no idea how to style it from there. The hair and make up did not mesh with the clothes! I am looking froward to perfecting an authentic look in the future- maybe with a wig so I can keep my short do? 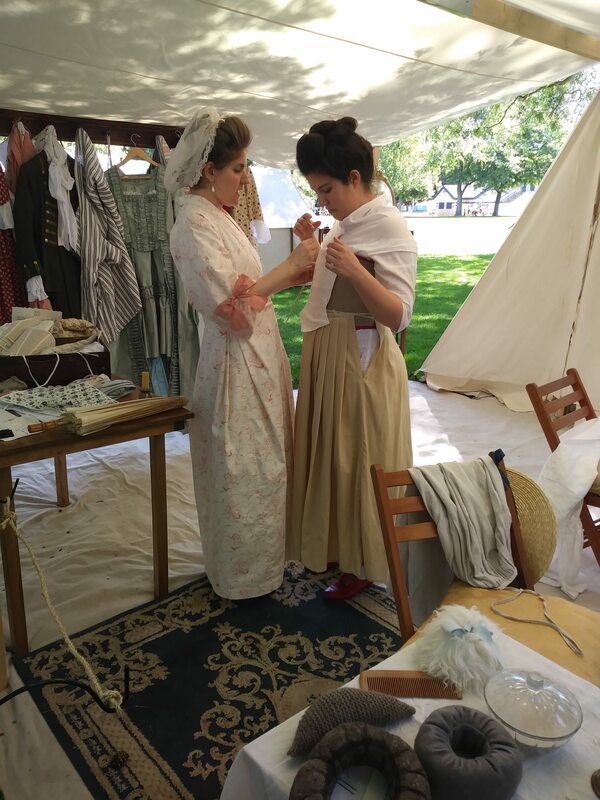 The overall effect that the Colonial Festival had on me was one that cultivated a desire for more simplicity and less stuff in my life. While I feel that giving up plastic is not an option for me, how much I consume regularly is something I am revaluating. Learning to become more mindful about consumption is just one way that I fight autism. Another way is recycling by finding new homes for found fashions. Visit my ebay store, Up Pix Studio. I love what you have learned from reenacting! Consumption is definitely a problem in our modern era. You rock being a colonial!